ok. awesome product, everything i need. i am ready to purchase. i have a thousand products i want to upload. they are in 26 categories. 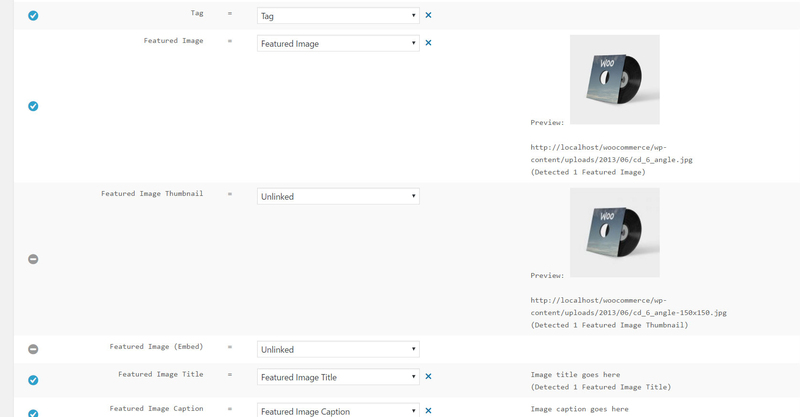 I assume that the image column in the csv (sample) will be able to handle these requirements. any other feedback or comments that are public about your product? Hi Brian, you can enter the image filename (a1.jpg) into your CSV then upload the physical images to your Uploads directory as instructed at import time, the importer will fetch and generate thumbnails for each Product. 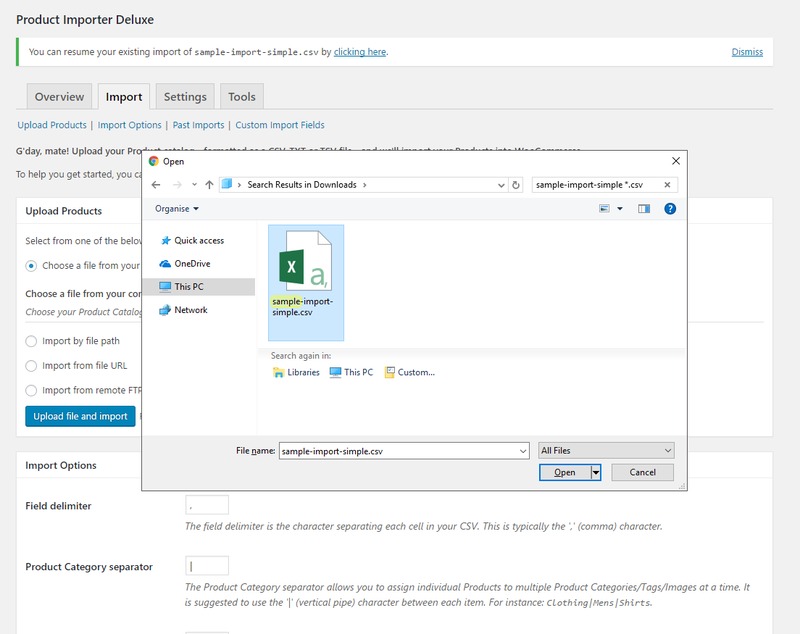 Please note the importer does not support relative directories (/image/letters/a/…) so you will need to upload all Product images to a single directory within your site as instructed. 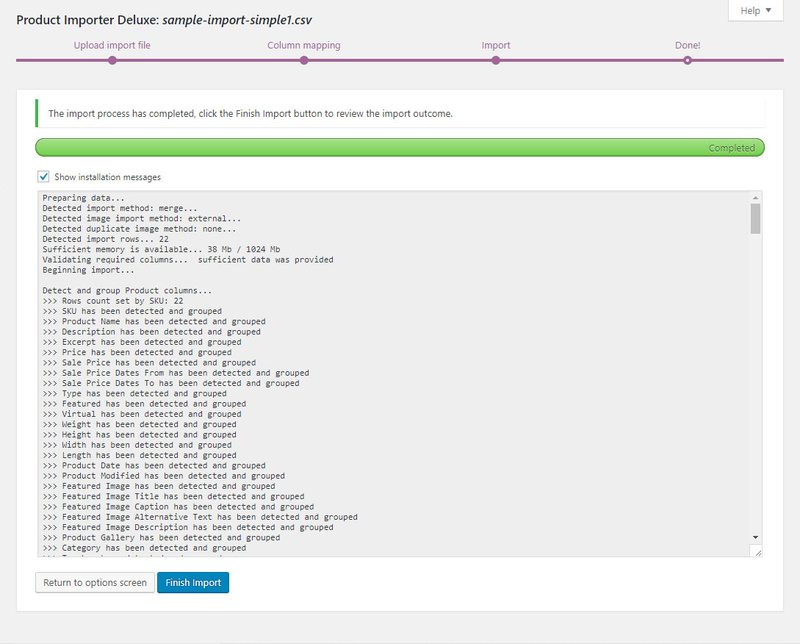 Ive used the | and the > (separately ) and it is importing to wrong categories totally unrelated. not sure why. I’ve done clean import again. same thing. Hi Brian, 800 Products in less than an hour, nice work! 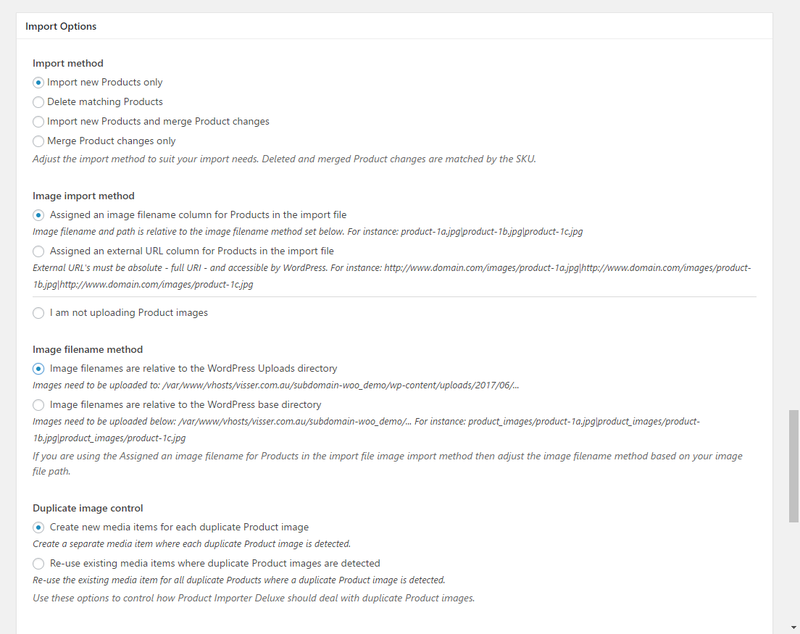 I’ve had others experiencing unrelated Categories linking to some Products but have been unable to yet identify the cause, what did you change to resolve this or did you simply import into a fresh store? 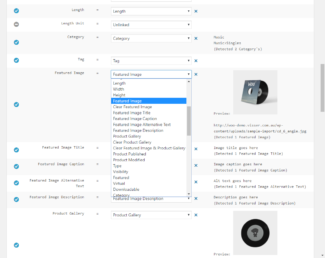 I also had this problem in Categories and was able to resolve it by re-uploading (merging) the SKU and Category column. I’ve noticed a slight issue with stock levels. 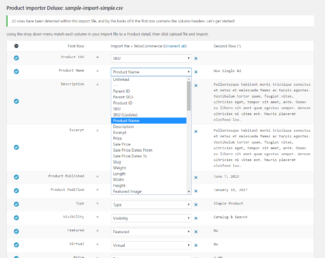 If a row in the .csv file has 0 in the quantity column, the product is assigned a Stock Level of N/A, rather than 0. 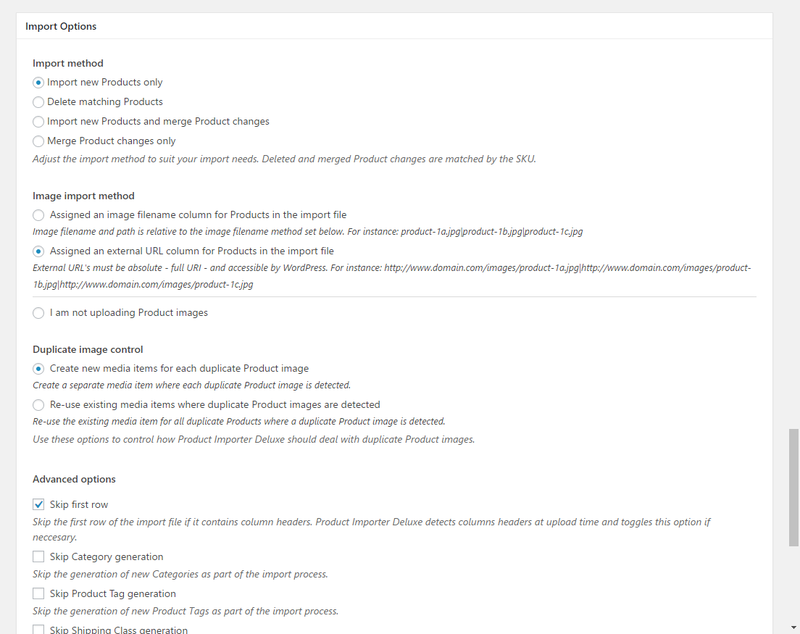 Not a problem in itself, except that WP-Ecommerce displays the In Stock graphic, unless the Stock Level is set to 0. Is that what others users have found? Could the importer be modified so it maintains the 0 rather than replacing it with the N/A value? Excellent, thanks Michael – keep up the good work! I’ve now tested 3.0.9 and can confirm that the Stock Level issue described above (where Qty 0 = N/A = In Stock) has been resolved. 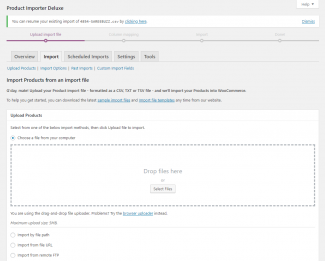 I’m trying to buy the Product Importer extension and it seems that the WooThemes.com site is down….Can I purchase this directly from you guys and why/how long has their site been down? 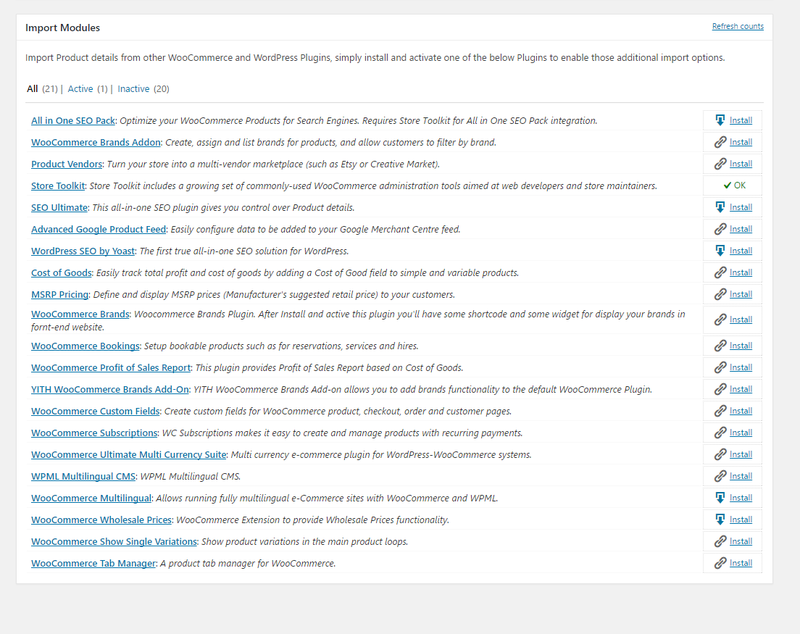 Hi Maxx, I noticed that yesterday too… I’m moving Plugin sales to my site in the interim and will work with WooThemes to ensure updates are available. i was wondering if this works with woocommerce seemlessly or should i purchase it from them instead? 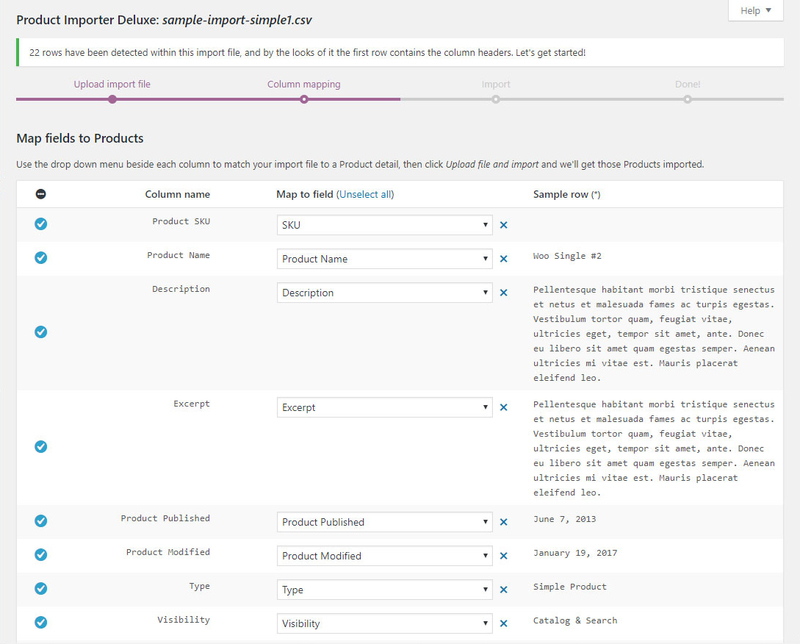 Hi David, this release is just for WP e-Commerce, you will need to purchase the WooCommerce-flavour of Product Importer Deluxe for that platform. I am interested in using this product for my website. 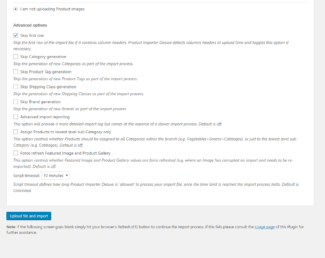 I sell pictures online, and I need a plugin that allows me to upload 500 to 1,000 products at one time, including a digital download that is attached to the product. Is this possible using your plugin? I am also using a plugin from GetShopped, the Gold Cart one. 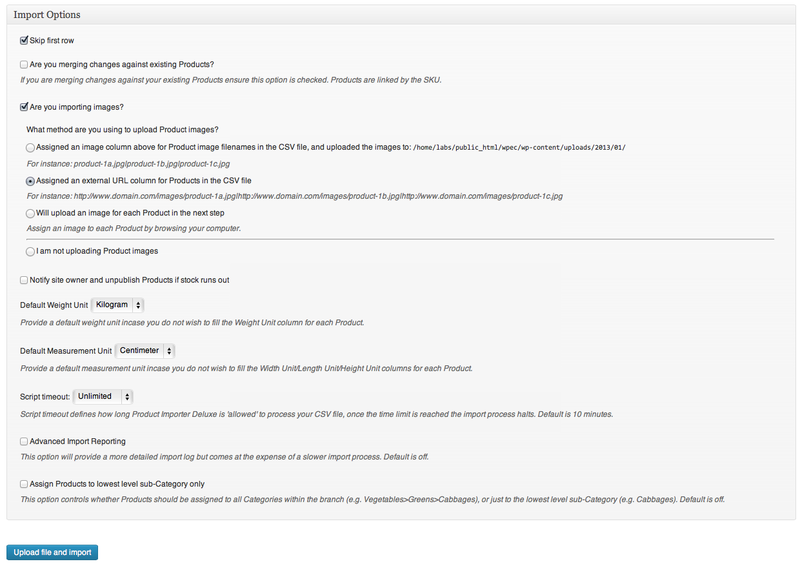 Is your product compatible with my current set up, or would I have to migrate over to your system? 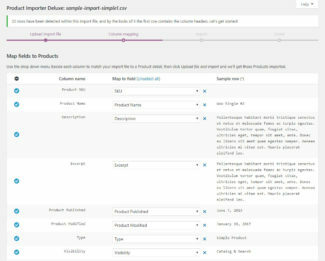 Hi Thomas, sure is, both the free and Gold Cart enabled release of WP e-Commerce is supported by Product Importer Deluxe. Hello there Thomas, were definitely in the same boat here as I need several different ebooks attached as digital downloads to my many products using csv for a much easier way. 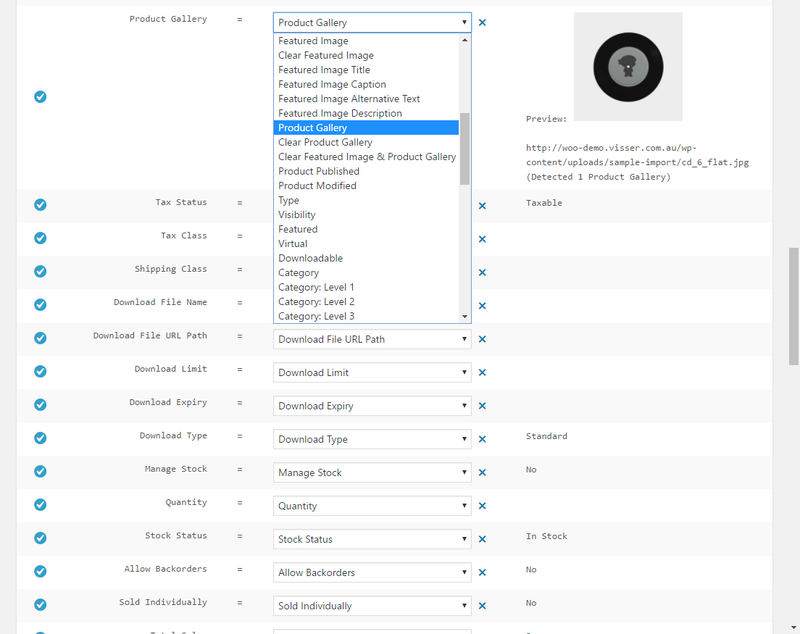 Have you bought and confirm that this plugin(Product Importer Deluxe) works flawlessly??? 5 Days back i sent you a mail on your email id about the problems we are facing when using Product importer Deluxe. 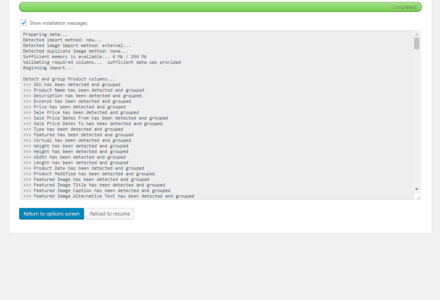 In that mail mentioned the user name and email id which I used to buy the pulgin from woothemes. 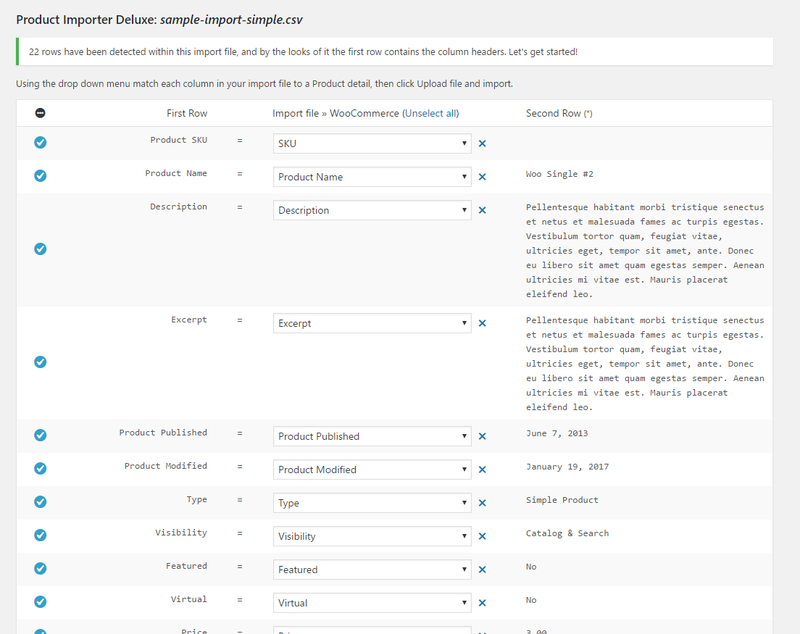 Also I sent the CVS and Excel sheet of products data as attachment we are using to upload products. So its been 5 days and there is no response on the same from your side. 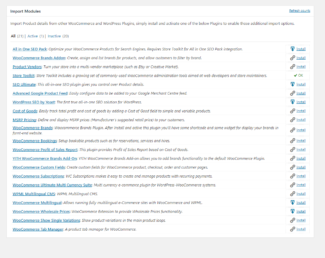 I opened a thread on woothemes forum but again no response from your side. Yesterday, I posted again here and this time you just removed my comment….. This is not an example good business ethics practice. 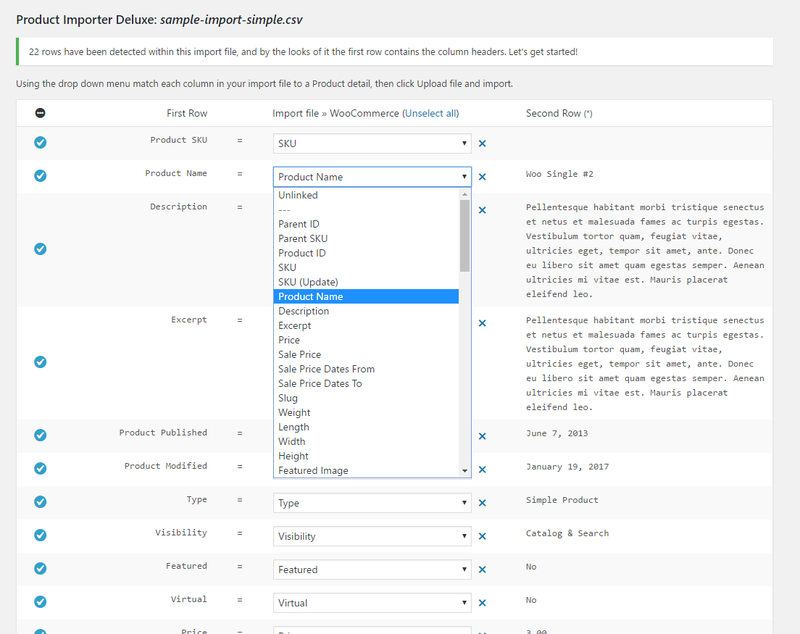 4-5 days back I sent you a mail regarding the error with product import deluxe on your email id along with CVS file that we are using to upload products. Till now we didn’t get any response from your side. I also started a thread on woothemes forum 3 days back but again didn’t hear from you. We need to upload our products faster. so please help us in getting that done ASAP. 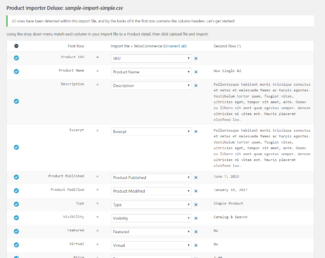 I am using the import and it is truncating my product description. Is there a maximum size and if so can it be increased? Put me on the list. I’m waiting to lunch my new website using jigoshop until there is a way to import my 1000’s of products i sell. Why are you having your website for lunch? 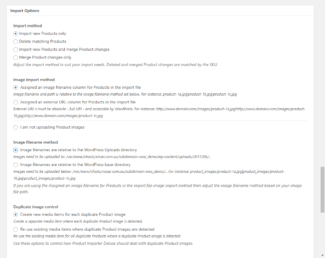 Hi Steve, I’m working with Jigowatt to get this Plugin out to the community. It’ll be out as soon as possible. what may i be doing wrong?? 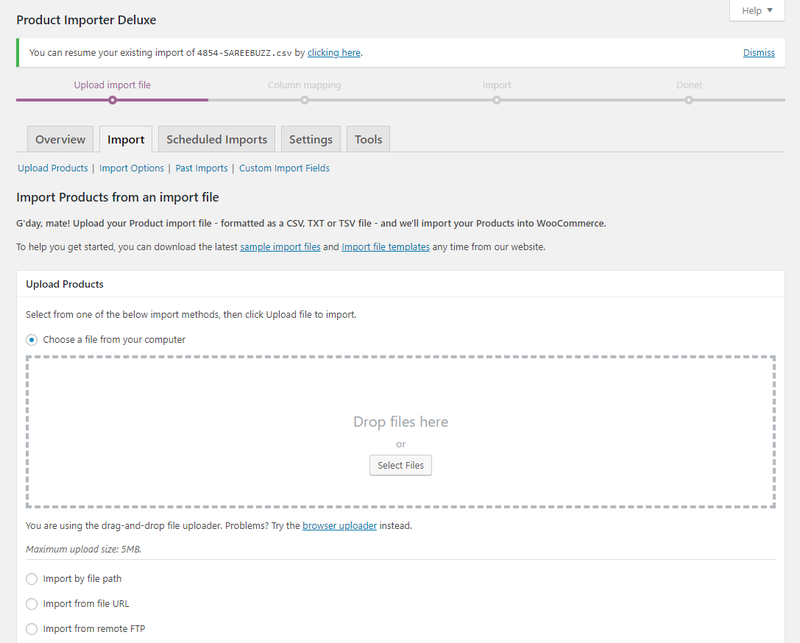 Hi good4, I recommend you raise a new topic on the WooCommerce Support Forum as I manage support with the WooThemes team from there, this page is dedicated to the WP e-Commerce release of Product Importer Deluxe. This took an hour to load until it timed out- I need these two items repaired- I assume that it will take 20 hous toload my catalogue then. Please advise if this is what I can expect long term or not- if so, I want a refund. It seems that you are not very keen to offer support! I noticed that many people here are in trouble and from you:…..silence! It look like you have deleted all newest comments. Is this a professional way to relate to people? 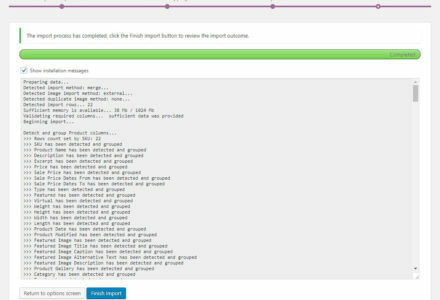 Hi Roberto, I assure you no comments are being deleted, the latest WordPress uses pagination for every 30 comments (now over 500 on this Plugin alone). Please hit the Older Comments link below (http://www.visser.com.au/wp-ecommerce/plugins/product-importer-deluxe/comment-page-8/#comments). 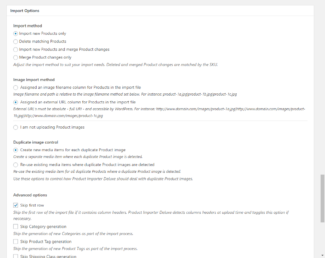 I’m doing my utmost to respond to e-mails as they come in and lately this has meant a decline in priority to pre-sales e-mails in favour of priority support to existing customers with the roll out of new Plugins. 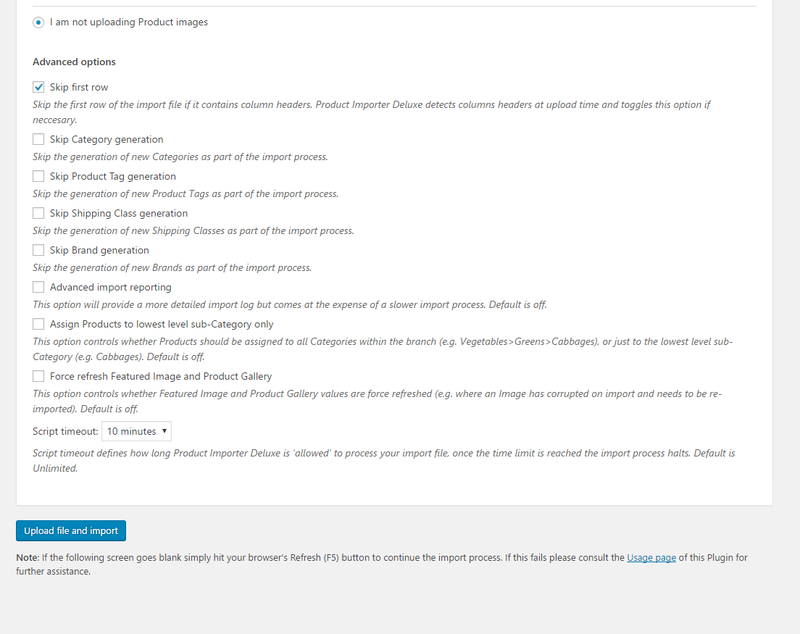 I’ve responded to your original enquiry regarding external URL image support which is available as an image import method within Product Importer Deluxe and works best with absolute paths. Hope this helps. I feel better now that you replied my comment and answered to my email. Thanks for helping me with that Mike- I made a poor assumption that it was your product and not me doing. 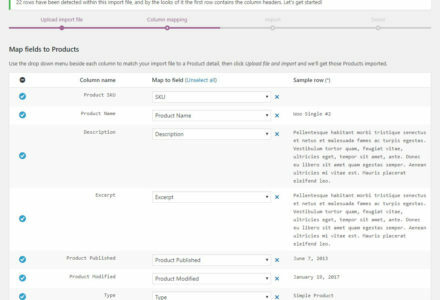 Does the current release support Product Variation? 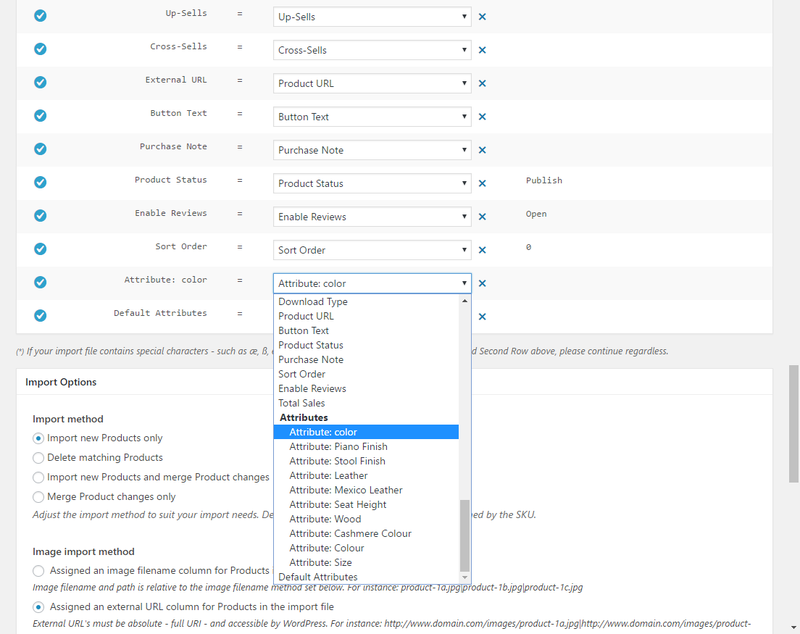 Hi Yash, support for Product Variations has not yet been introduced. I’ll add support for this in-demand feature once support for the most recent Plugin updates stabilises. Thanks for your patience. 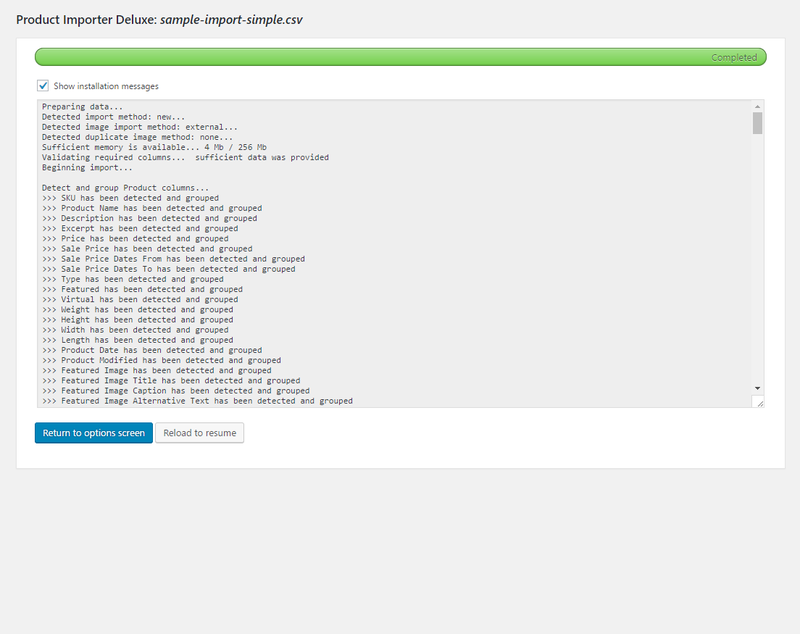 I was able to upload the csv I had deleted and functionality returned. I have not seen any documentation warning against doing this so I thought I would share. Michael while you seem to be around…any news on variation set management? 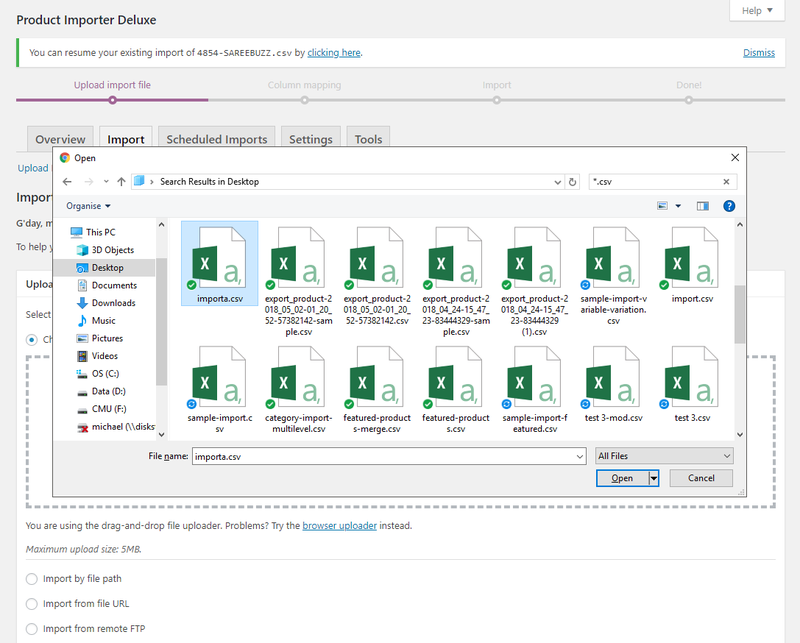 Hi David, variation support has been postponed until support for the most recent Plugin update stabilises. I’ll make an announcement as soon as possible regarding this feature. Michael, do you have any sort of timeline? I have a specific need for this and need to implement it right now? Is there anything we could arrange offline that would get me started? It really is quite simple what I’m trying to achieve. 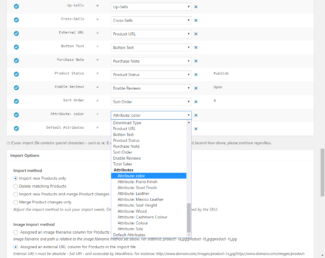 All I want is one product variation set applied to a group of categories across the board. I would even settle for it altering all categories and then manually change the ones I don’t need to have the variation on as there are so few. Got any ideas? 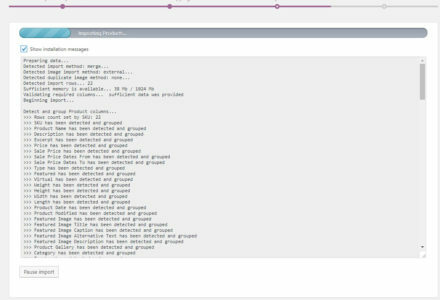 Could I do this through the back end in SQL? I responded to your email but haven’t heard back from you. 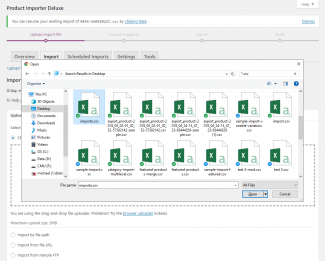 I sent the csv file in the email and described my issue. Can you help me with this? I have had this product for a few days but am still unable (after putting 8 hours a day into it ) to get it to load anything. Have you received any of my emails? 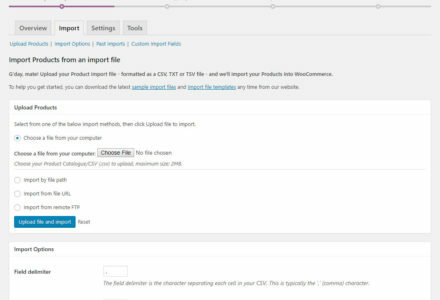 I desperately need your help as I am trying to import thousands of products and the plugin times out when trying to upload the CSV. I have saved it as a windows csv and nothing seems to be working. 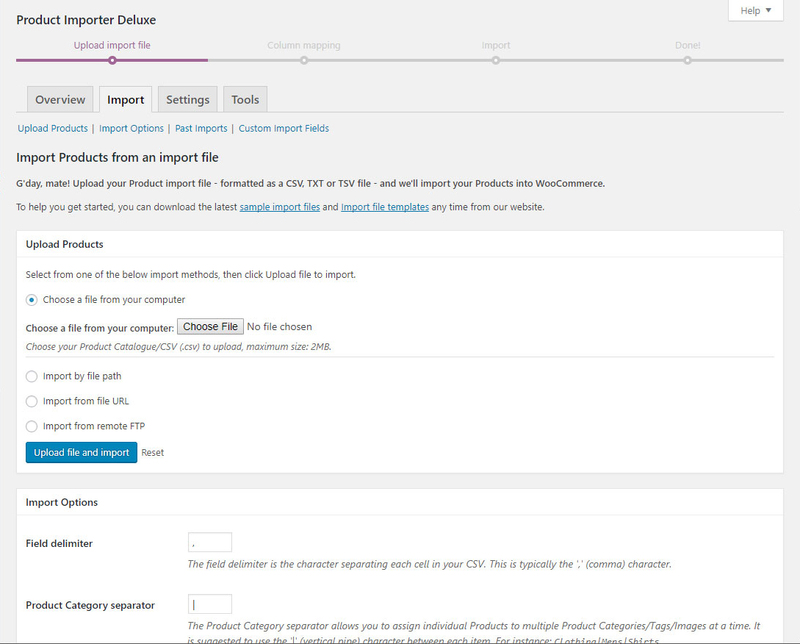 Also I emailed you regarding product variations set support? Last time my email got caught in your spam filter. I really need to upload several thousand products with images for download ove the next 24 hours. Hope to hear from you soon. If you want to call me you can do so my phone number is on the web site…….I’d be more than happy to make a donation if this can be resolved quickly. Hi Michael, This seems to be a major issue for allot of us, I have chimed in a few times to make sure I get updated on the topics raised, however you seem to be missing in action a fair bit. I am certain there would be a good few of us willing to fund some upgrades to this plugin to get the functions we desperately need ASAP. I myself am not desperate till possibly 2 weeks, then will need something done to assist the movement of this plugin and variations, and time-out issues. Hi Ciaran, forhuntersbyhunters and David, sorry to hear you are also being ignored. Has made me feel a lot better realising I am not the only one. If you scroll down this thread you’ll see quite a few posts from me, without a single response back, which has been really disappointing, especially since responses have been given to others who have posted questions more recently. Even if I’d gotten a *single* response explaining when I might receive a response, I’d be happier knowing at least there was *something* in the pipeline. I’ve been really disappointed with customer service and can only assume that there aren’t enough hours in the day, people who know his plugins to be able to help, or our issues are just too much trouble to acknowledge now that we’ve paid for them. Ciaran, if you’re not desperate for another two weeks I would suggest finding someone else to fix your problem in that time. Perhaps an elance coder or something? I’ve been waiting over two months in good faith. Don’t burn your two weeks waiting. Good luck. I got a response the next day but I havne’t heard back- He asked me for my csv file then mentioned manually adding the images (I have 18K of them) – I will wait another day and hope to hear something- now that I have a bunch of funds wrapped up into this, commitments made to my network and a bunch of time. I have worked through many of the issues but am still stuck on some. I did however find another site that gives you a few lines of code that everyone seemed to have no issues with. I can’t find the address now but I will resort to editing a single file if that is what I need to do then dispute this with paypal- seems as if there might be a mass exodus and dispute if there isn’t a response soon. Not that I am complining about the cost but I could have done this myself a few times with the time I have invested. I only bought this to enable others to have an easy way to do this on my network that was integrated. It might be just as easy to load images into Month/data folder and alter the file that needs to be changed then run a line of script. – it is far from a working product. I wnat a refund. I have been trying correspond with Mike- nothing- quiet. I wont use a getshopped product again or a visser labs with this kind of support – I mean seriously- 100$ for something that you can make yourself. This product does not do any of the things it claims and is in development but not marketed that way. Please email me with instructions to get my refund or I will contact paypal and my credit card company to refuse payment. Too bad, it seemed like a great concpet. 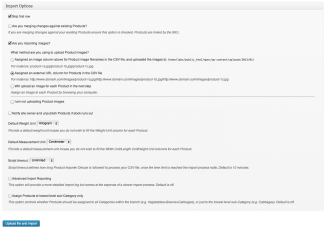 Before selling products they need to be tested not sold as a broken in progress plugin. Wordpress and my host are hurdles that have come into play for a large catalogue…1*K products may be more than any plugin can handle. 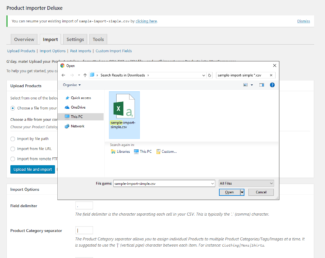 Also, Michael has been supportive in the troubleshooting that has been hampered by a more dynamic site than a typical wordpress installation. Ie: WPMU, 2 bridges to php and Dolphin and an apache server that doesnt’ seem to comply. Michael has committed to take my store to completion with these obstacles and has worked toward hammerring away at each one on a daily basis. I will report to everyone with the results once it is up and running, if it is possible.